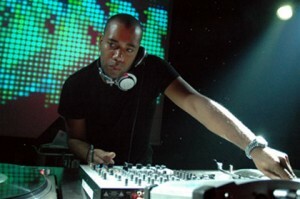 Pioneering Detroit techno musician Carl Craig. When I think about Detroit, I think of the bands and music that provide the Motor City’s soundtrack: Motown’s Smokey Robinson and The Supremes, the dirty garage rock of the MC5 (also the writers of the song that provides Bourdain’s blog post title), techno pioneers Derrick May and Carl Craig and the new ambassadors of garage rock like The White Stripes and The Dirtbombs. Detroit-based electronic artists ADULT. recently received an Knight Foundation award to sponsor an artist residency program in the city. I imagine that many of the musicians that they bring in not only will become vocal proponents of the city but also will consider making it their homes. Music is alive and thriving in Detroit, and artistic visionaries like ADULT. are ensuring that it continues to be part of Detroit’s future. And while Bourdain obviously talks about food and his love of music and eats his way through Detroit, this episode of Parts Unknown is largely about the “improvisers” who make the city tick. When Bourdain says “I hope, that even among ruins, audiences will see what I see: an extraordinarily beautiful city—unlike any other in America—still,” I realize that his reverence is exactly what’s missing from so many discussions about Detroit. He accepts the city for what it is, and ultimately reminds us that Detroiters and the heart of Detroit are one and the same. 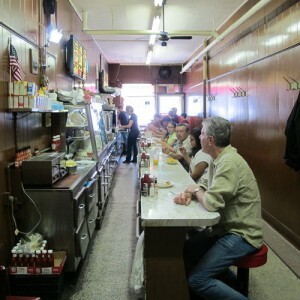 Watch Anthony Bourdain’s Parts Unknown Detroit episode in its entirety on YouTube.